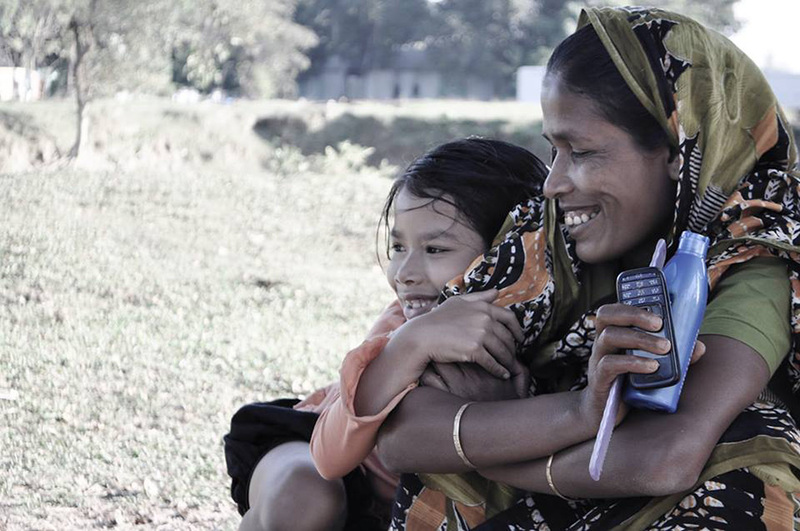 Amader, A Bangladeshi Web Creating Company for the Entire World. His gentle, friendly character and sincere attitude towards people and work are essential for Amader. He likes to work professionally and to know how to use new programming and technologies. He enjoys spending time with his friends, talking, walking etc. In his spare time, he teaches his professional skills to his friends, which, he believes, helps them to get good job opportunities and build a career. Every three months he goes back to his village. Direct distance from Dhaka to his village is only 300 km, but it takes about 12 hours to reach there! In his village he enjoys his time with his family and friends. Born in Bhola, Bangladesh, and raised by very gentle parents, he graduated from Mawlana Bhashani Science and Technology University in 2008. Mostafezur co-established Amader in November 2009. Roni enjoys working and learning with new ideas and thoughts. He has started the very first step of his professional life as a designer and intends to be a highly creative designer in future. Roni is a friendly and funny person with an open mind. He always tries to solve all of his small and big problems as simply as possible on his own. He puts his effort on planning and finishing every task within the specified time. He is very much interested in designing. He enjoys hanging around with his friends and loves to travel and visit new places and people. He also loves to play cricket, badminton and table tennis. He has a good skill of solving and fixing electrical and electronics problems. He has a strong adaptability so he can stay and live in different environments or situations! Roni has six family members. Among the four brothers, he is the eldest. Roni goes back to home and spends time with his family every month. 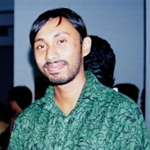 Born and raised in South Akua, Maymensingh, Roni has a degree of bachelor in Electronics and Telecommunication. Sudina cooks very well. Her dishes are our energy. She is very conscious about cleanliness and keeps our office very clean. In this office environment, we can work comfortably. She is from the minority ethnic group Garo, whose religion is mostly Christianity. She adds rich flavour in Amader corporate culture which is mostly consist of Muslims and men. She has two pretty girls, Megra and Brishti. 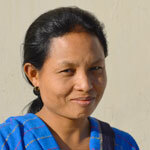 Garo family's head is normally a woman/mother, so she is the breadwinner of the family. He appreciates self-consciousness, freedom of expression and admires the virtue of honesty the most. He likes to take a positive approach to all aspects of life and tries to maintain an open minded point of view on them. He is serious about his own thoughts but he respects others way of thinking, vision and honest opinions toward life, because he thinks everyone is unique and possesses the power to make this world a better one! He believes this world is as good as it could be and that good must ultimately prevail over evil, or at least he hopes so, because hope is worth fighting for! 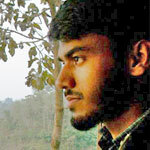 He has graduated in Computer Science and Engineering from Mawlana Bhashani Science and Technology University and is now studying M.Sc. in Computer and Information Technology in Islamic University of Technology. When he was travelling around the world in his university time, he saw deep economic gaps between so-called rich countries and poor countries. Then he thought "I want to do something to narrow these gaps in future". He wanted to do it through business, but at that time he did not know anything about business, so he decided to work in the business world. He chose working for a bank because he could learn a lot about many businesses. While living and working in London, he travelled a lot in Europe. One day he met a Bangladeshi and they became friends. He decided to go and stay in Bangladesh to know the real situation of a developing country, and find what he could do and how he could do it. What he found was the richness of Bangladeshi culture, which is not so well-known in other countries, as well as the well-known poverty and other difficulties. Some good parts of culture have been lost in many developed countries. He wanted to make the best of Bangladeshi richness to reduce the poverty. So he decided to set up a company with Bangladeshis, who are very, very friendly and kind, especially for foreigners. He used to work for Sumitomo Mitsui Banking Corporation. He graduated in Sociology from the University of Tokyo and grew up in Fukuoka, Japan. Hobby: Travel, Volleyball, Drinking, and making Bangladeshi people smile and laugh. 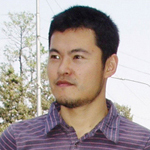 He is friendly and decent and very much attentive on his work with passion on programming. He enjoys traveling and chatting with his friends. His home town is in Bogra but he has been living in Dhaka from his childhood. He is very much interested in Japanese culture and people. He also likes watching Japanese movies and listening Japanese songs though they are very difficult to collect in Bangladesh. He is very amicable and cooperative. He wants to be helpful for everybody. And he is a very happy person. He likes his job and his company and wants to be a great contributor to Amader and wishes to see a happy and peaceful world. 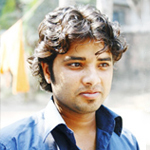 Rajib is the ever-improving guru of PHP programming for Amader. 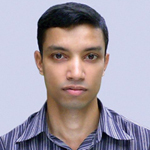 Rajib possesses a very high adaptation quality - he can learn things very quickly. He is talented, ambitious and very serious about his career and professional activities. He believes that commitment and dedication are the keys to success in professional life. He is highly passionate about music and loves to play guitar and compose music in his small digital sound studio in his house. He is very friendly and helpful especially regarding the technicalities of both work and music related topics. He is well known among his friends for his habit of straightforwardness - he speaks his mind out loud and clear, directly and transparently no matter what! He lives with his family including two loving elder sisters and he is the youngest. He lost his mother at an early age, which could be the reason that he cares so much for his family and friends. 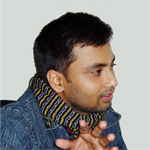 Born and raised in Dhaka, he graduated in Information and Communication Technology from Mawlana Bhashani Science and Technology University, Tangail, Bangladesh in 2008. Copyright © 2009- Amader Ltd.